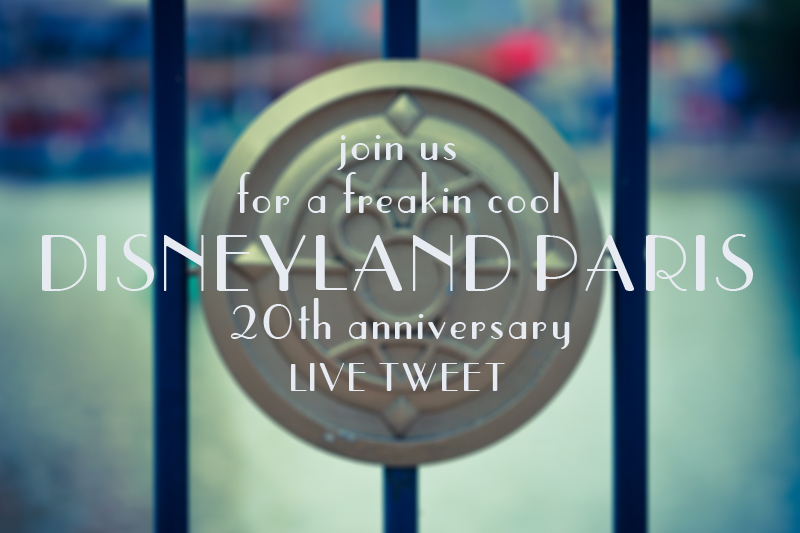 Join our Disneyland Paris 20th anniversary LIVE TWEET! Ce weekend, le Parc-O-Rama sera à Disneyland Paris pour découvrir Dreams et les 20 ans du parc. Rejoignez-nous sur Twitter pour suivre le live tweet photo! Ca va être supercalifragipkpoj$ùf$rmejzlmtjù!! This week end, Parc-O-Rama will be in Disneyland Paris to discover Dreams and celebrate the 20th anniversary. Join us on Twitter to follow our photo live tweet! It’s gonna be supercalifragipkpoj$ùf$rmejzlmtjù!! Content de t’avoir rencontré en cette occasion très spéciale!